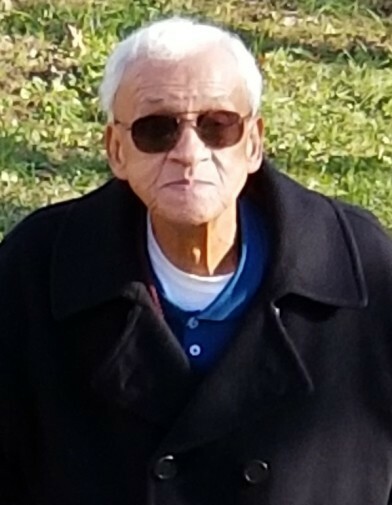 Mr. Frank Harleston, 86, of North Charleston, SC, entered into eternal rest on Monday, April 1, 2019. The relatives and friends of Mr. Frank Harleston, Jr. are invited to attend his Funeral Service 11:00 AM, Saturday, April 6, 2019 at Mt. Horr African Methodist Episcopal Church, 4360 Highway 174, Yonges Island, SC. Interment - Mother Emanuel African Methodist Episcopal Church Cemetery, Charleston, SC. Viewing will be held Friday, April 5, 2019 from 5:00 PM - 7:00 PM at the mortuary and Saturday, April 6, 2019 from 10:00 AM until the hour of service. He was preceded in death by his wife, Nathalee Deborah Young Harleston; and grandson, Sean Young. Mr. Harleston leaves to cherish his memories: children, Fran Kathy Nelson of N. Charleston, SC, Zuella Curington of Fernanda Beach, FL, Sandra Ford (Robert) of Charleston, SC, Gale Powell of Upper Marlboro, MD, Frank Harleston, III (Tanya) of Hope Mills, NC, Charles Harleston (Trish) of Durham, NC and Roslyn Corner (Louis) of Linden, NC; grandchildren, Tamiko Rivers, Tanaia Ashe, Jonathan, Morgan and Ian Powell, Elwyn and Elnirrio Curington, Christina Morin and Frank Harleston, IV, Jaylen and William Corner, Evin Grant and Nikki White and Shavonna Young; and a host of nieces, nephews, cousins, special cousin, Jerome Heyward (Margarita); other relatives and friends.